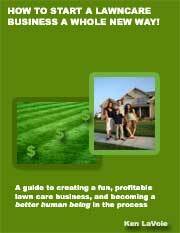 Lawn Mowing Business - Starting a Lawn Care Business - The Right Move? Starting a lawn care business can be extremely satisfying and rewarding. However this kind of business is definitely not for everyone. Before you put time into developing your lawn care business plan and buying equipment you should ask yourself some serious questions. The following article sets out some of the factors that you should consider before deciding that you are suited to running a lawn service business. However, don't stress if you feel that you are lacking in any of these areas. It is relatively easy to get started in this industry and you can work on some of these factors one by one until you are ready. Do you enjoy working outdoors? Would you like to be working out in the sun or the rain everyday? Whether you are bidding on new accounts or actually mowing lawns yourself it is inevitable that if you are running a lawn service business you will end up spending a lot of time outdoors. Do you have sufficient funding to cover your lawn care business startup costs as well as funding to tide you over if your business experiences slow growth in the early stages? The good news is that set up costs are relatively low in this industry compared to other new business ventures. 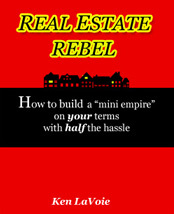 If you start off small then you can be up and running on less than a few thousand dollars worth of starting capital. Is seasonal work right for you? In some parts of the US and in Canada lawn care is a seasonal business. Are you prepared to work hard for eight months of the year and then take a vacation or find other temporary work during the off season? Note that it is possible to keep your customers over the off-season and do other work for them such as snow plowing or firewood delivery. Are you prepared to be flexible with your working hours? 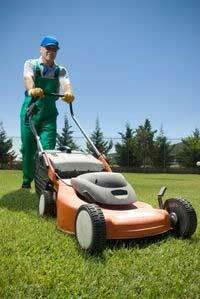 One great aspect of running a lawn service business is that you don't have to work regular nine to five hours. You will to some extent be able to schedule your week and work the hours that you want. On the other hand you do have to consider customer demands and you may find that your customers create your schedule for you to some extent by requiring you to mow their lawns on specific days or at specific times. You must be disciplined and having good time management skills will be a crucial factor leading to success with your lawn care business. Are you prepared to work a variety of roles in your business? Until you hire staff and expand your lawn care company you may find yourself mowing lawns as well as handling the administration and marketing side of your business as well. After you start a lawn care service you will be dealing with all kinds of people. Most importantly you will have to relate to your customers, understand their needs and communicate clearly with them so that there is no confusion and they end up satisfied. Secondly you must be able to communicate well with staff in order to develop them into productive and profitable assets for your business. You also have to know how to retain them once they have become valuable to you. A lawn care or landscaping business is hard work in the physical sense, at least until you can hire staff to do the hard work for you. From loading your truck, pushing a lawn mower and getting rid of grass clippings you will need to be strong and hard working to be productive and maximize your income. However, modern lawn mowers do, to some extent taken a lot of the hard work out of the job. The up side is that you can look forward to being physically fit and not have to bother with a gym subscription or wasting time exercising like your office bound buddies. It is not always easy to be self employed. If you don't have a boss pushing you to get things done then you must become self motivated. Businesses often grow slower than the owners had anticipated. It is important that you stay positive and keep working towards the goals that you have set for yourself no matter what setbacks you encounter. Developing a business that can provide you with a full time income can take time and many new lawn service business owners start part time before taking the risk to go full time. If you can keep your job or possibly go part time and encourage customers to schedule around your working hours you lower your risk. This gives you a chance to see how running a lawn care business is working out for you before you decide to go full time.